Better energy outcomes can be achieved as point solutions become integrated into systems. The deployment of connected, intelligent energy technologies by progressive service providers will give end-users greater visibility and control over how they meet their energy resource requirements, but it will also deliver beneficial network effects as the entire energy system becomes smarter. Many of the legacy infrastructure systems that serve as the foundations of the industries we are a part of are being transformed. The transformation is happening fast and is most noticeable in the energy sector. 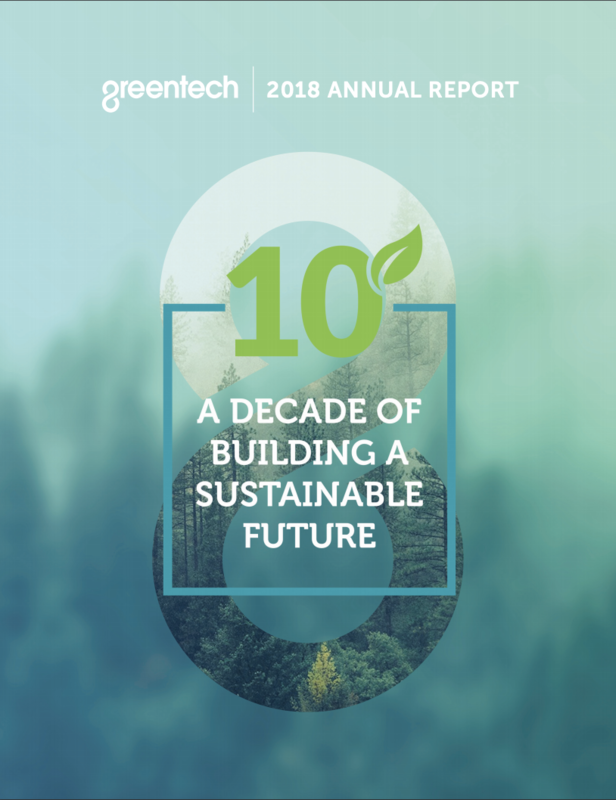 The penetration of low carbon, distributed and intermittent generation has required not only new technologies, but also business model innovation. For traditional energy suppliers, it is no longer sufficient to “sell electrons”: they are now expected to provide ancillary products and services to customers, including managing electricity price risk and cross-selling cutting-edge energy management solutions. The competitive landscape is shifting across the energy value chain. The competitive landscape is shifting across the energy value chain. Utilities will have different, perhaps less powerful roles in the new energy economy. The interplay of a shifting generation mix, the need for a more resilient and responsive grid, a deregulating energy supply landscape, and a more energy-aware end-user have created an energy system that would have been unimaginably complex a decade ago. This complexity creates opportunities for service providers that are able to deliver solutions that optimize end-user energy consumption by delivering Energy-as-a-Service (EaaS). EaaS is a demand-side-driven phenomenon. Commercial and industrial (C&I), institutional and public customers are seeking clean, reliable, flexible, and low-cost energy solutions that enable them to meet sustainability goals while reducing operating costs. End-users are increasingly benefiting from the convergence of available solutions, advantaged by the technologies and financial support of third parties, to become more efficient and productive managers of their energy use. EaaS creates an opportunity for energy providers flexible enough to adapt their business model. The market for some EaaS solutions has already been developed, including contracted energy procurement services, energy efficiency and building optimization solutions, and load management solutions. 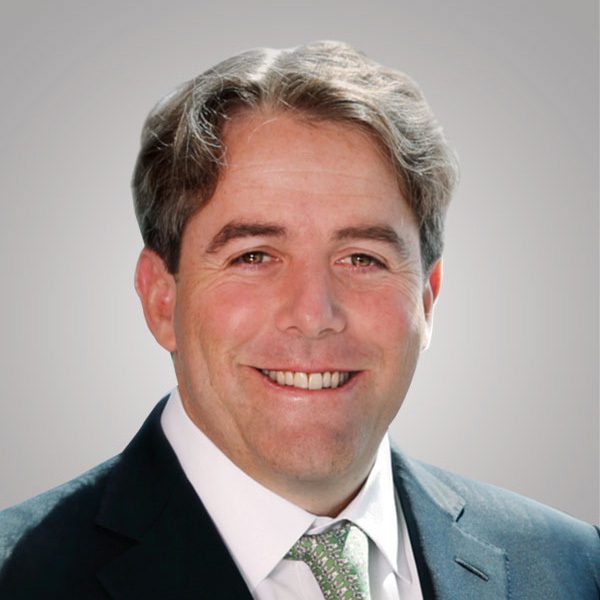 As the market for EaaS continues to mature, we expect to see increased adoption of an integrated suite of energy management services, including energy strategy support, sustainability advisory, and DER (distributed energy resources) operations support, providing an additional revenue opportunity for energy providers and utility service companies. The market opportunity is significant. Navigant Research expects the annual global market for the deployment of C&I EaaS to reach $221.1bn by 2026. Historically, the category of Municipalities, Universities, Schools and Hospitals has represented the majority of spending on energy services. This is expected to change as C&I customers are becoming increasingly aware of the benefit of EaaS and cost-savings opportunities. EaaS creates new infrastructure opportunities through energy storage projects, microgrids, district heat systems, and energy performance contracts. We have recently observed various global utilities, industrial companies and integrated oil companies identifying similar approaches to customer engagement and economically viable customer relationships, as well as services from these new infrastructure opportunities. The energy suppliers at the forefront are largely from Europe, including Centrica, Enel, ENGIE, and National Grid. In the U.S., competitive energy suppliers such as Duke, NextEra and Southern Company are leading the charge on innovation. 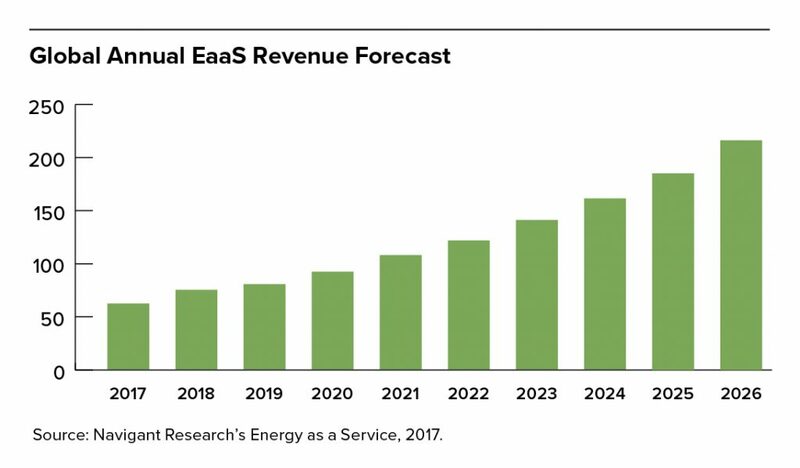 Major technology providers and ESCOs such as Johnson Controls, Schneider Electric and Honeywell are also well positioned to partake in the growing EaaS market. EaaS also allows the customer to own, maintain and invest in the assets, taking ownership away from the command economy or businesses that don’t have core competency to run these assets. A variety of new service providers are experimenting with how they enable their customers to benefit from asset-light exposure to the most advanced and efficient energy systems. The Ohio State University public-private partnership is a good example of an innovative EaaS project, with a total value of $1.2bn. ENGIE North America and Axium Infrastructure formed a consortium to combine their expertise in sustainability and energy efficiency. The consortium has taken over operation of the systems that power, heat and cool the campus, and will install a range of energy conservation measures with the goal of reducing the university’s carbon footprint by 25% in 10 years. Another example is the strategic alliance of Dynamic Energy Networks, an owner and operator of microgrid and distributed energy resources, with Schneider Electric and The Carlyle Group in 2017 to form a holistic EaaS platform to take advantage of the growing market. With the increased interest from institutional capital to provide flexible financing solutions, the rapid adoption of new technologies, and the increased interest and openness of customers to pursue sustainability strategies and set energy efficiency targets, we expect to see even more innovative project structures announced in the near future.